The three new books below classify as the ultimate "bible's" for their subject matter. If you are a foodie or aspiring wine lover, you should purchase these books and use them for reference. Steven Raichlen is the king of BBQ education. He has built a virtual BBQ empire with more than 27 books on the subject, several television shows, the annual Barbecue University hands on seminar series, a line of barbecue products, plus more. 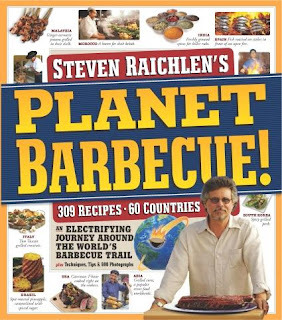 If you have watched his shows or read any of his books, you'd love his straight forward approach to grilling.